In an attempt to decorate for Halloween, I scoured my Pinterest boards for some inspiration. I have a "scary" wreath made by my amazing SIL, but I love it so much I don't dare put it on my front door for fear it will get ruined. 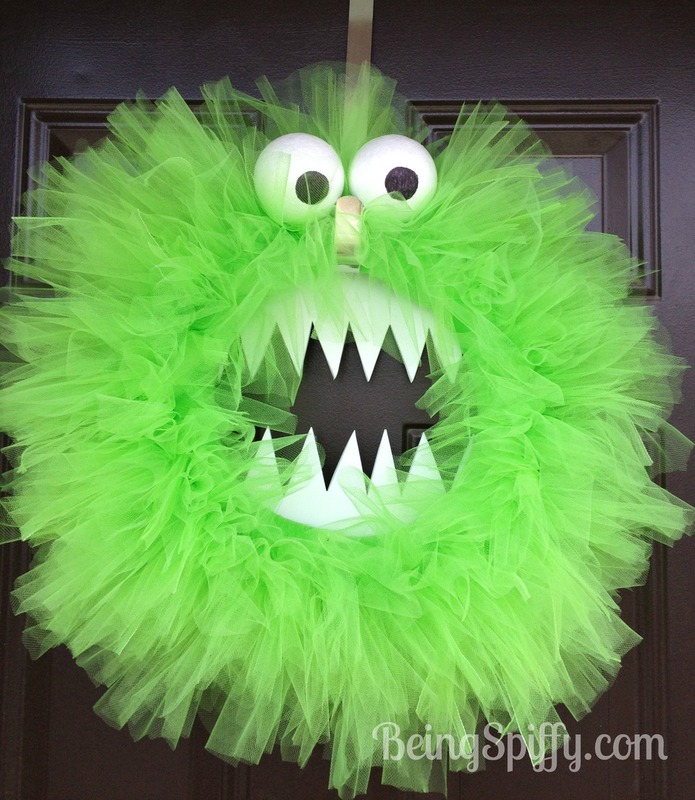 I kept coming back to this wreath made by Baby Rabies. Who doesn't love an adorable Muppet-like monster? He's made from tulle. One-hundred yards to be exact. Tied around a wreath form just like you would a tutu. I love a good no-sew project! I ordered my tulle from here since I couldn't find green locally. I think my favorite part are his foam teeth. They give him personality. So much personality, he deserved a name. Thus, meet Floyd. Can't wait to enjoy Floyd throughout the month. He makes me smile. 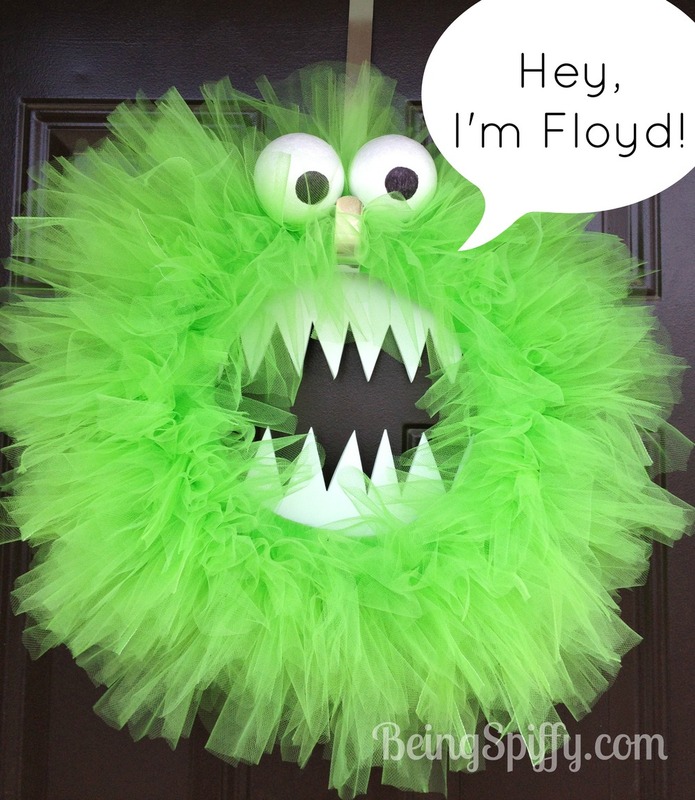 If you make your own Floyd, let me know!